To guard against flooding of the Erzen River, it became necessary that we create a river training solution to protect the Panto Resort. Both transverse and longitudinal structures were built for this project. All thanks to the technical solution contributions of Professor Fisnik Kruja, alongside our gabions and Reno Mattresses that were used to make the project a success. Panto Resort is a summer holiday destination located in the vicinity of Fikas village, close to the Erzen River. During the rainy winter season, the water level of the river increases leading to an overflow. This could lead to increased erosion at the river banks as well as the risk of flooding. It, therefore, became paramount to put flood prevention measures in place to protect the holiday resort. 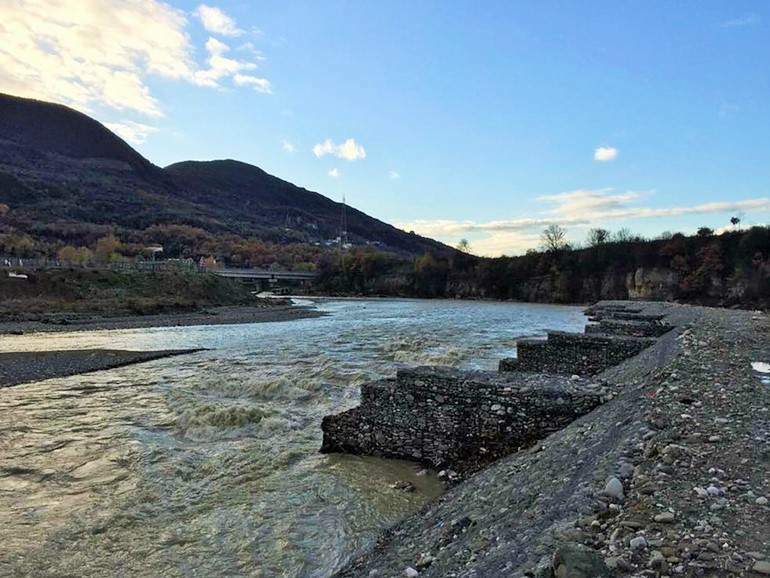 For this project, we worked closely with Professor Fisnik Kruja, a specialist in river training and bank protection works, who was hired by Panto Resort to provide a technical solution. He proposed a solution including both transverse and longitudinal protection structures. a 310 m long Reno Mattresses longitudinal structure. Thanks to our consolidated experience in river training and erosion protection, we contributed in making the design more functional and easy to install by changing the cross-section of the groynes. A total of 1,800 m³ of Reno Mattresses and 550 m³ of gabions were used for this project, which was successfully completed in September 2017. For further information about our Hydraulic Works applications, please contact us.